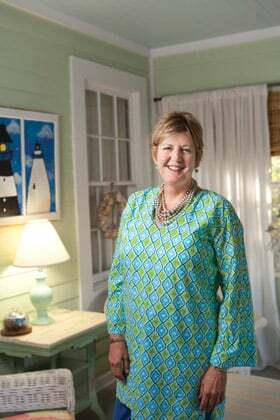 On Tybee Island, an offshore suburb of Sav-annah, tourism entrepreneur Diane Kaufman manages 50 rental properties, historic cottages and houses built between the early 1900s and the 1950s. When she finished counting the 2012 receipts from her company, Mermaid Cottages, Kaufman was smiling. The history element in Georgia’s modern tourism is pronounced and growing, especially in Southeast Georgia where so much of the state’s early history was made, according to tourism professionals and economic developers. “Our biggest draw is our history, which goes back to the same time period as Savannah,” says Rick Lott, executive director of the Effingham County Chamber of Commerce. “They were founded in 1733, and we were founded in 1734. The Effingham County community of New Ebenezer has a historic church from those early days, and there is a museum that attracts the descendents of the Salzburgers, some 300 of whom were part of an exodus of persecuted Christians driven from the Salzburg, a region of what became Austria. Savannah has long been established as the gold standard for the use of history to generate tourism, but the city’s chief marketer sees his market ever changing and his city doing the same. “I think our product is constantly changing,” says Joe Marinelli, president of Visit Savannah, the marketing arm of the Savannah Area Chamber. Savannah leaders are looking at putting a new multi-use baseball stadium downtown to serve as home to the Savannah Sand Gnats, the local minor league baseball club. And more people could be coming ashore to see what Savannah has to offer. “There are studies under way right now on the Savannah riverfront, and those studies could lead to Savannah becoming Georgia’s homeport for cruising,” Marinelli says, referring to discussions about landing the big cruise ships that have long plied the Caribbean. It’s easy to see how tourism is the foremost economic developer for Georgia’s oldest city, says Marinelli. “Tourism jobs in the Savannah area total about 21,000,” Marinelli says. About 78 miles down I-95 south of Savannah is another vibrant port town, Brunswick, and the long-prosperous Golden Isles, four islands that have lured visitors to their shores since the 16th century. Given the value of tourism to the Glynn County economy, its chief tourism promoter is celebrating an upward trend in recent visitor numbers. “Tourism is our No. 1 industry here,” says Scott McQuade, president and CEO of the Golden Isles Con-vention and Visitors Bureau. Most important to the future of Glynn County’s economy is the completion of a number of improvement projects under way on Jekyll Island, once one of the state’s most visited vacation sites that was long known as a valued site for conventions. The island was developed for tourism in the 1950s and 1960s, with some upgrades in the 1980s, says Eric Garvey, chief communications officer for the Jekyll Island Authority (JIA), manager of the island. Garvey says 59 conventions have been signed for 2013. “Our sales target is to have 120 conventions per year,” he says. “That’s when our two new hotels are operational.” Good news came from the Georgia Press Association this year with their announcement they will be returning this summer for their annual meeting. Farther south down I-95 in Camden County, two out-of-state developers have partnered on plans to build Kingsland Entertainment and Adventure Resort, a 574-acre sports-fo-cused park that will employ 800 people and could open in 2014. There was more good news when Oprah Winfrey left open the possibility she would film more episodes of her show, Lovetown USA, after producing eight episodes in 2012 at various locations around the county. The show, about how love can transform a town and its citizens, was a collaboration, with the BBC providing production technology. Rosado says all the publicity isn’t hurting their tourism recruiting efforts. Camden has already been chosen as the site for the construction of a Good Housekeeping Home of the Year. “Camden County has three districts on the National Register of Historic Places – St. Marys, which is much like a small, quaint fishing village; Kingsland, on U.S. Highway 17 and is more like a 1920s town, and we just renovated our train depot there; and there is Woodbine, which, I’m told, has the only regularly scheduled bluegrass music event on the Georgia Coast. It’s called the Woodbine Opry,” Rosado says. Smaller communities in Southeast Georgia are showing they can muster the assets to attract tourists in the cultural and heritage trend of the region, and Cathy Wells in Clinch County proved a nimble detective in tracking down pieces of a family history for one of the area’s most famous citizens. When the historic birthplace marker was going up for actor, author, playwright and native son Ossie Davis in the Clinch County town of Cogdell, Wells, director and genealogist of the county’s Huxford-Spear Genealogical Library in Homerville, got in touch with Davis’ daughter, and the Hux-ford-Spear Library did a DNA test on Davis’ surviving siblings. “The DNA test results came back and, along with some research I had done on the family’s history, gave us some interesting discoveries,” Wells says. It turned out the Davis family was from Northeast and North Central Africa and was Jewish. The DNA tests and other research nailed that lineage down as truth. Some 200 people showed up in the Clinch County seat of Homerville (pop. 2,803) for a 2012 salute to Ossie Davis, and the experience opened another possibility for cultural and heritage tourism. “Trying to do family histories on black families is very difficult for the years before 1870, with that being the first census year in which African-American families were counted,” says Wells. The experience led Wells to begin an effort to produce more written records on those families.